With the arrival of the year it is common to find articles about the real estate market projections for the year that started. Although no one has a crystal ball, here is a brief summary of what we and other specialists expect for 2016 regarding the real estate market. Our focus is on the Miami real estate market. 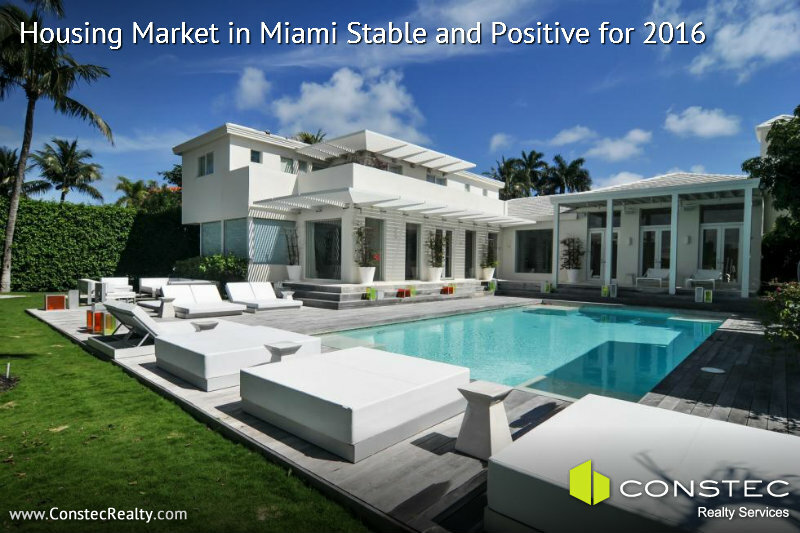 With some price adjustments, 2016 should be a stable year for the real estate market in Miami. In recent months, sales have slowed down and prices, especially condominiums, rose sharply in the last two years. Now the consensus seems to be that things will continue much the same with slower adjustment to the prices of condos which should help ensure a more stable market for 2016. Why don’t we expect a better year for 2016? Well, the worldwide economic problems; especially in Latin America and Europe, are slowing foreign purchases of real estate in Miami, especially the new condominium/pre-construction market. In addition, foreign currencies have lost value against the US dollar which has affected the purchasing power by foreign nationals, mainly from Brazil, Argentina, Chile and Venezuela. The increase in rent prices and the low interest rates will lead to an increase of buyers in the market for 2016. Buying a home will remain a solid investment. Learn to separate true value from things that do not add any real value to a property. Do not get caught in a price war when it really is not meaningful to you. Think what makes the most sense for you, your family and your investment. Learn which kind of renovations really add value to a property. Choose a realtor who really knows the market you are interested in; and above all, puts your interests first.